In 2015, the Tamil author was hounded by Hindu groups for ‘One Part Woman’ after which he declared his writing ‘dead’ and had gone self-imposed exile. 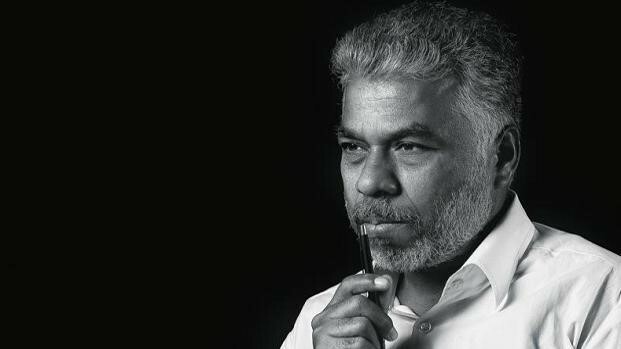 New Delhi: Renowned Tamil writer Perumal Murugan, who was hounded by right-wing activists for portions of his novel "Madhorubagan" or "One Part Woman", that allegedly hurt their religious sentiments, is back with two sequels which pick up right from where the controversial novel ended. The sequels will arrive at the stands on Wednesday. At the end of Murugan's trailblazing novel, readers were left on a cliffhanger as Kali and Ponna's intense love for each other was torn to shreds. For those wondering what happened next to the beloved couple, "A Lonely Harvest" and "Trial by Silence", both published in English by Penguin Random House India, bears out the answers. In "A Lonely Harvest", that picks up the story right where "One Part Woman" ended -- Ponna returns from the temple festival to find that Kali has killed himself in despair. Devastated that he would punish her so cruelly, but constantly haunted by memories of the happiness she once shared with Kali, Ponna must now learn to face the world alone. Murugan weaves a powerful tale of female solidarity and second chances in this sequel. And then there is "Trial by Silence", in which Kali is determined to punish Ponna for what he believes is an absolute betrayal. But Ponna is equally upset at being forced to atone for something that was not her fault. In the wake of the temple festival, both must now confront harsh new uncertainties in their once idyllic life together. "In Murugan's magical hands, this story reaches a surprising and dramatic conclusion," the publisher said. In the preface to both the books, Murugan has emphasised that both of these books are products of his imagination. "In particular, I want to point out that the names that occur in the novel do not refer to any specific persons or places...These were necessary for the world I was creating through words. Please read them with that understanding," he urges the readers. "If any of this turns out intolerable to you, I request you to kindly avoid reading the novel," he adds. Murugan is among the most authentic voices from the Indian hinterland, and his books have fast become a sensation in India as well as abroad. The paperback edition of both the novels are priced at Rs 399 each, and will be available both online and at bookstores later on Wednesday. Writer Githa Hariharan talks to ICF and Newsclick about the Madras High Court's judgement on the Perumal Murugan case. Perumal Murugan's poetic comeback: The renowned author says he will start writing again with gusto. Souradeep Roy spoke to Kannan Sundaram when he was in Delhi to receive the Samanvay Bhasha Samman 2015 on behalf of Perumal Murugan.